Scott Rajavuori has launched a new website, located at www.ScottRajavuori.net. 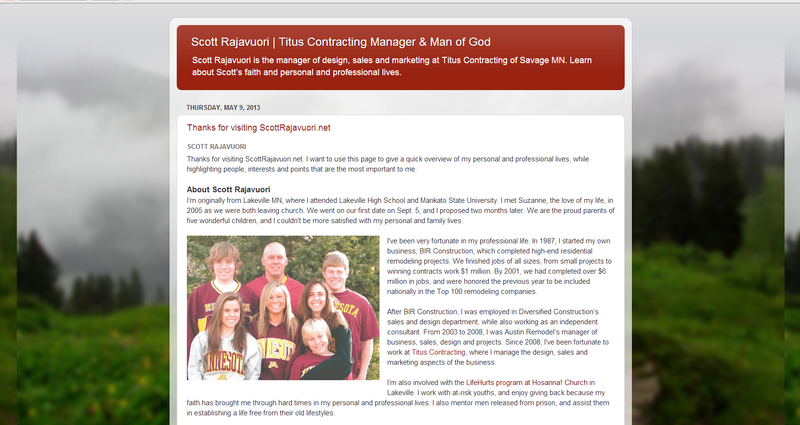 This new website features information about Scott and pictures of him and his family, and links to his social profiles all around the web. Check out the new Scott Rajavuori website by clicking here. This entry was posted in Scott Rajavuori and tagged scott rajavuori by Scott Rajavuori. Bookmark the permalink.